Sony is adding full-frame sensor models to both its SLR-style and semi-pro video cameras. The company is bringing out two new models likely to be of interest to video makers: the SLT-A99V, a full-frame, interchangeable lens SLR-style camera, and the NEX-VG900, an interchangeable-lens camcorder equipped with the same full-frame sensor. The new cameras are both built around Sony’s 24.3 megapixel, full-frame 35mm sensor – the same pixel count found in Nikon’s new D600 DSLR. The designs, though, are very different. 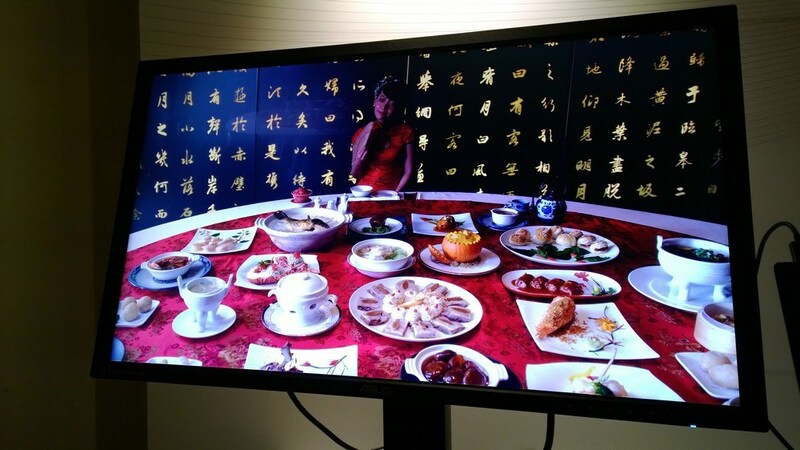 The A99 is not a DSLR as such, but rather uses Sony’s SLT, or translucent mirror technology. This means that the camera has a digital, rather than an optical viewfinder. The A99 is Sony’s first full-frame, interchangeable lens camera, and sits above the APS-C format A77 in its range. The A99 also adds a number of important video features, including audio levels, a headphone output, and a clean HDMI feed for monitoring or using with an external recorder. It will crop to APS-C using current E-mount lenses, or work with full-frame Alpha glass. Sony is also offering an optional, XLR audio connector for connecting up pro lenses, and a number of remote control options, which could make the A99 an attractive alternative to Nikon and Canon DSLRs for video production and video-based reporting. 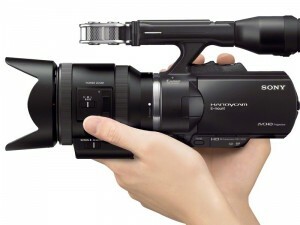 Sony has also extended and updated its semi-pro camcorder range, with the NEX-VG30 and VG900. Sony’s NEX-VG10 and VG20 are already popular options for journalists and web-based video production teams, not least because of their DSLR-like depth of field. These cameras have APS HD sensors (rated at 16.1 megapixels for the VG20), AVCHD recording, interchangeable lenses and an advanced built-in microphone. The VG30 updates the range to include 50p recording and a new power zoom lens, and an OLED viewfinder. Recording bitrates are up to 28mbps for AVCHD. The NEX VG900 is a more radical departure, as it features a full-frame 35mm sensor, similar to the unit in the A99. 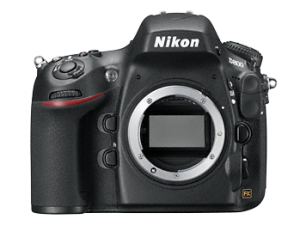 This will also shoot up to 50fps/60fps, and has the automatic cropping feature for film makers using APS-C or NEX-type lenses. Recording formats and bitrates are the same as on the VG-30. An XLR audio adapter (the XLR K1M) will be an option for the VG900; it also includes a shotgun mic. The NEX-VG900 is an interesting option for freelancers and small video production teams, as it gives more camcorder-like features – as well as more manual controls, such as separate buttons for iris, shutter speed and gain – with a large sensor. With a full-frame 35mm sensor the VG900 actually has a larger chip than cameras such as the Canon C300, or Sony’s own F3 or FS100 pro cameras, which are based around the Super35mm format. Like the VG30, the camera has an OLED viewfinder. Sony expects the NEX-VG900 to go on sale in November, with a US price of $3,300 (£2050) without a lens but with a full-frame, A-mount lens adapter. The VG-30 will sell for $2700 (£1700) with the kit lens. The A99 is expected to sell for $2800 body only, though some suggestions are that the UK price will be around £2500.